In today’s fast paced technology world, we sometimes forget about the lovely feeling you get when someone writes you a hand written note or letter. Yes, it takes more time than a quick text or email or a face book entry. But it is a something that feels special and is more treasured than some of other avenues mentioned above. This is not to say an affectionate text in real time cannot fit the bill at times or that a longer email cannot have it’s place. And I know for those who are avid face book users, a public show of love may feel very nice. But, a LOVE LETTER is so very sweet and lovely all in it’s own right. 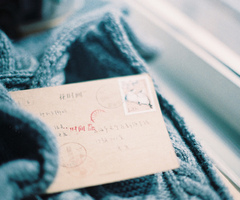 A LOVE LETTER is something that can be kept in a special place and re-read and treasured for years to come. 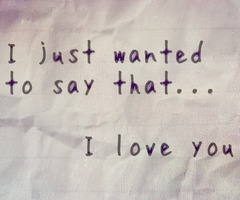 So consider sending a love letter to your sweetheart. The taking the time to find a piece of stationary or a blank note card and the additional time it takes to write the letter WILL be appreciated. Here are a few possible things to consider as you write your LOVE LETTER to your special loved one. Consider what you put your love letter on. It can be a piece of fun stationary that shows your personality or your loved one’s personality. Or a blank note card with a picture on the cover that is a fit for your loved one or something that makes you think of the two of you. It may be you decide to be creative and think about something a bit more outside of the box, so to speak. I know of a person whose love letter was written on the back of a Whole Foods sack, her favorite store as a heath food girl and then put in a small wooden box with a very pretty heart on top. She was delighted. Of course, really any paper or note card will do, but this extra step is a nice touch. But it is the words that count. Hand write your note if at all possible. If you really have to word process it on your computer, do so. But the hand written part is part of the novelty of the old fashioned love letter. Let your loved one know how special they are to you. Tell them what it is that you appreciate about them. You will have your own words. Date your love letter. For it will be kept and years from now it will be glad you did. Send your letter in the mail if you can. This makes it even more fun. Or you can put it in a special place in the house where they will find it. Or put it in the front seat of their car. Etc. Note: There are quicker, shorter versions you can do of the love letter. It can be on a sticky note and put on his or her bathroom mirror. A simple “Good morning beautiful, I love you!”. OR “Have a wonderful day, Love You!” Again, you will have your own words and your own special places. I love seeing what you post every week. I’ll excited to start getting emails too!